A robust, true sine wave, online UPS system provides a solidly reliable source of backup computing power. Your home and office can function uninterrupted 24/7 with Home & Office UPS. Domestic and commercial SWH systems are efficient at harnessing energy from the sun to heat water. 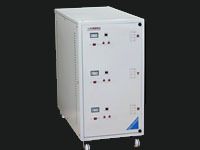 Will safe guard the costly equipment from voltage fluctuations. These are designed to give stabilized output. 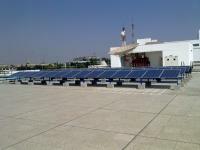 DC power generated from SPV panel is converted to AC power using power conditioning unit and is fed to the grid . 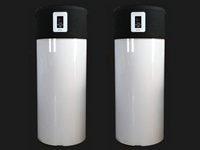 They generate power during the day time which is utilized fully by powering captive loads. 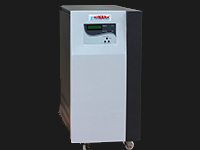 Air source Heat Pump is used to generate hot water using Air as the source. 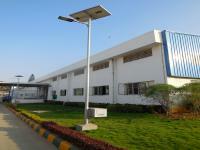 Solar powered Dusk to Dawn standalone street lighting system is used to power up streets and campus. KINARA’s products are based on advanced technology either developed in house R &D or based on technology sourced from Germany and USA. We believe in building Quality and Reliability into our systems at design stage rather than as an Add-on to our products. 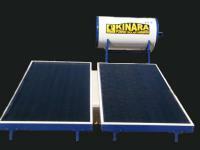 KINARA gives Utmost priority to production schedules & fulfils its delivery commitment. It ensures that customers are satisfied with the quality and timely delivery.A dedicated delivery team acts dyanamically to deliver the products onto the customer site based on their requirements. 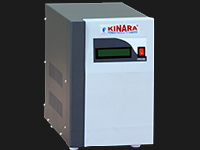 KINARA's strong after-sales-service for all products always meet or exceed industry norms in system uptime and system service time. These traits have helped us achieve 91.5% satisfaction level with A++ rating in Online Segment user survey by Soft Disk Magazine. 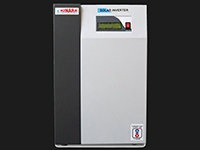 Kinara Power Systems and Projects Pvt Ltd is a professionally managed company to manufacture in the field of Renewable energy, Power Management, Energy Conservation Products, Energy Efficient Hot water Generating Systems and Providing water treatment solutions.